Why Choose the ServiceCentral Platform? When it comes to effective after sales service and repair of products, retail service management can present unique challenges for your organization. Connecting disparate, but integral, systems and service networks, often times located in different cities in the country or world, throughout the service management cycle is critical in delivering outstanding customer service and support. The ServiceCentral solution is highly customizable and empowers retailers with critical metrics that allow you to act quickly on the dynamic nature of your business. Here are 8 top reasons why ServiceCentral’s platform is the ideal solution for your service operation. ServiceCentral’s service management platform enables clients to configure their own unique business specific end-to-end after-sales solution with fully customizable workflows and business rules. ServiceCentral’s platform provides a solution for and visibility through the complete service process, from returns and repair to quality assurance and disposition, warranty claims, reporting, and more. From electronics and telecom to healthcare and security, ServiceCentral’s service management software fits the needs of any warranty service or repair management organization. 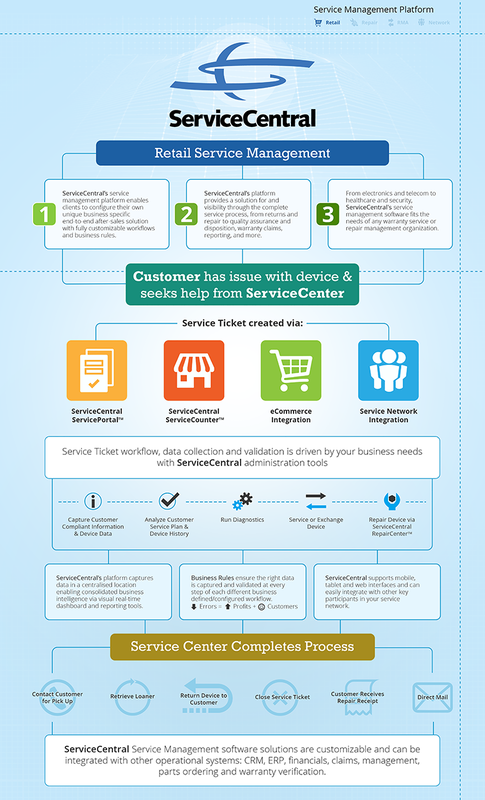 Service Ticket workflow, data collection and validation is driven by your business needs with ServiceCentral administration tools. 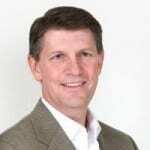 ServiceCentral’s platform captures data in a centralized location enabling consolidated business intelligence via visual real-time dashboard and reporting tools. Business Rules ensure the right data is captured and validated at every step of each different business defined/configured workflow. ServiceCentral supports mobile, tablet and web interfaces and can easily integrate with other key participants in your service network. ServiceCentral Service Management software solutions are customizable and can be integrated with other operational systems: CRM, ERP, financials, claims, management, parts ordering and warranty verification.